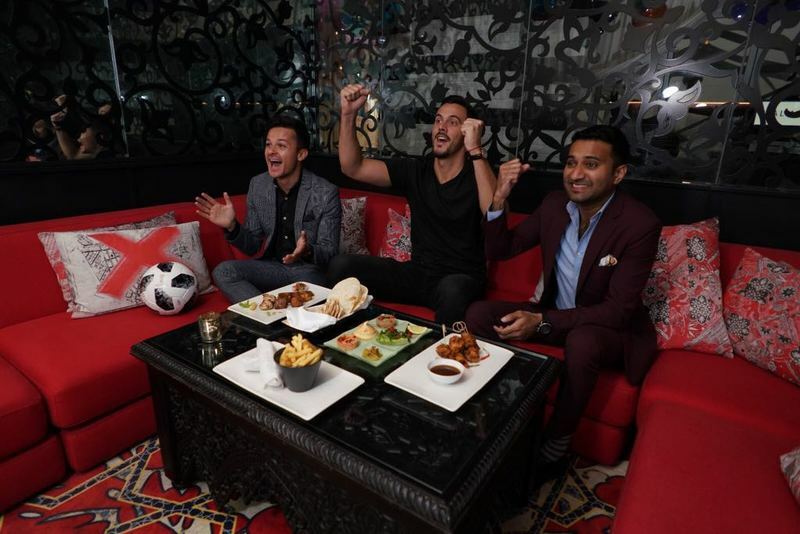 The World Cup at Mondrian Doha - "The Field"
Want to experience the World Cup in the thick of it? The Locker is the place to be. We put grass on the floor, dressed everyone up as referees and gave them whistles, yellow and red cards for you to feel the game like nowhere else. 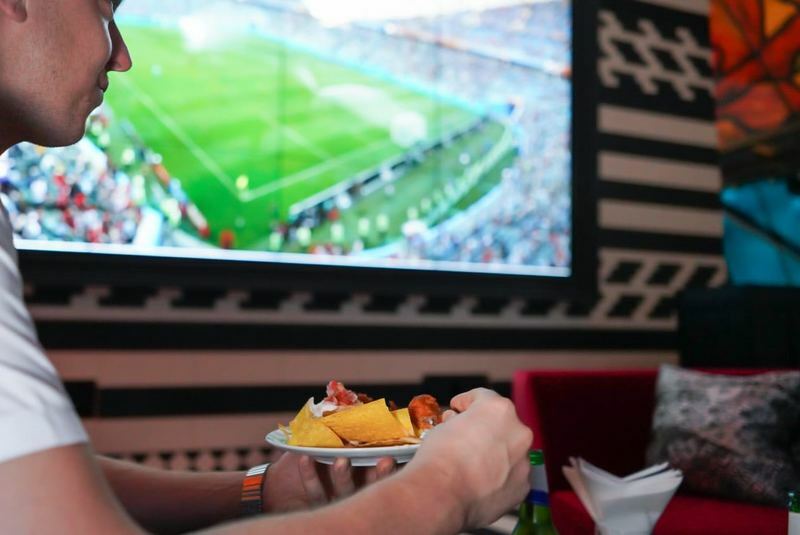 Get a true VIP experience at RISE and live the World Cup at the top! Get your own VIP pass to access open bar and unlimited food at RISE along with open bar access to Hudson Tavern. Become a World Cup VIP here! 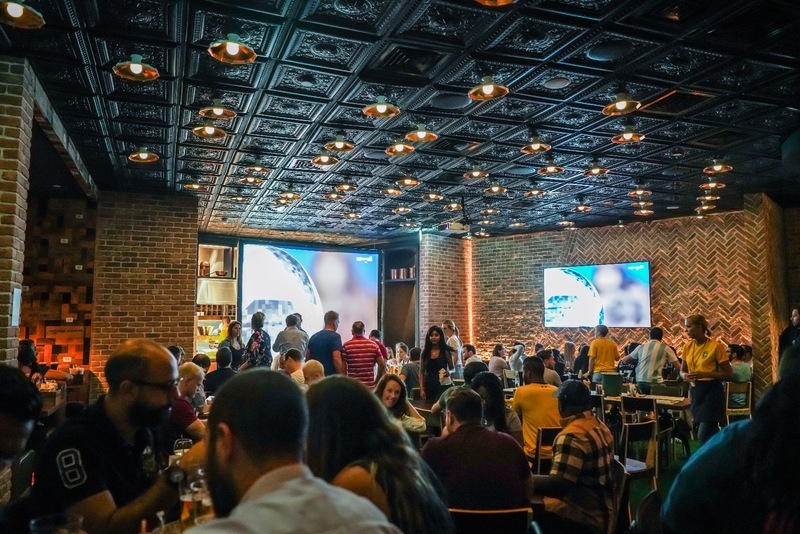 Prefer to enjoy the matches in a cozy private space with your friends? Then, Walima is your World Cup destination. Soak in the traditional vibes in our newest qatari restaurant and enjoy a mezze platter, our treat! Bring your kids to Magnolia Bakery lobby and watch them enjoy playing football with our personal football coach. Free juice and cookies for kids to keep them energized.